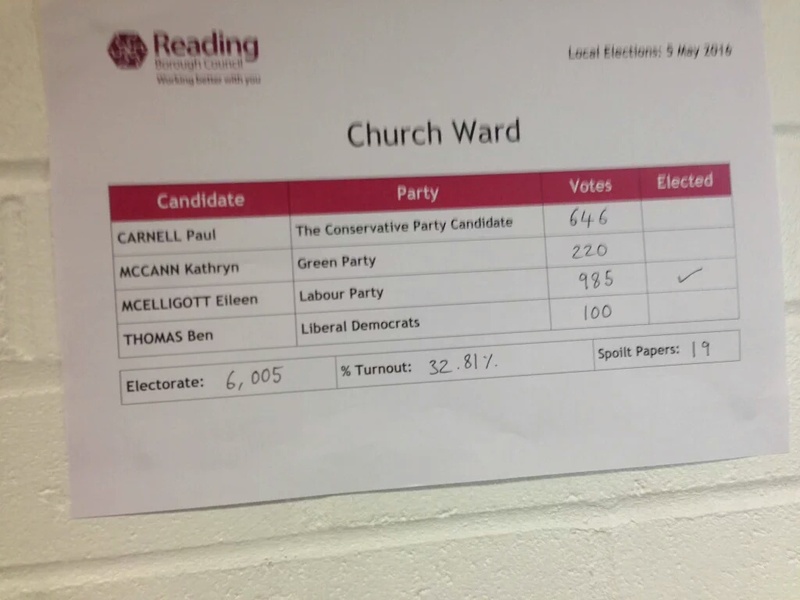 Cllr Eileen McElligott has been re-elected for another four years in Church Ward. 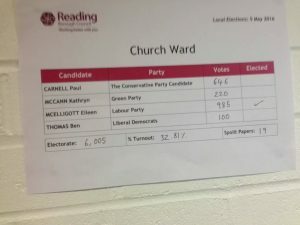 With nearly one thousand votes and nearly 350 ahead of her nearest rival, it shows the people of Church Ward want a strong Labour voice on the Council. A big thank you to all activists, supporters and voters. The hard work now conginues in helping our residents. This entry was posted in Ward News on May 6, 2016 by Ashley Pearce.